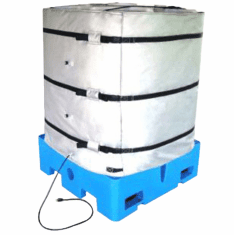 Wrap-Around Plastic Tote Tank/IBC Heater 120v,1440w,48"
Home > IBC | Tote | Tanks | Parts > Tote & IBC Blanket Heaters > Wrap-Around Plastic Tote Tank/IBC Heater 120v,1440w,48"
Home > Barrels & Drums > IBC | Tote | Tanks | Parts > Tote & IBC Blanket Heaters > Wrap-Around Plastic Tote Tank/IBC Heater 120v,1440w,48"
Home > Industrial Supplies > Heaters, Drum & IBC > Tote & IBC Blanket Heaters > Wrap-Around Plastic Tote Tank/IBC Heater 120v,1440w,48"
Home > Accessories > Heaters, Drum & IBC > Tote & IBC Blanket Heaters > Wrap-Around Plastic Tote Tank/IBC Heater 120v,1440w,48"
1 - 5 pieces $2,299.95 ea. 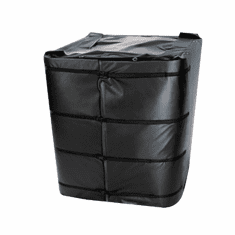 Fits plastic tote tanks 40" x 40" to 48" x 48"
Available in three heights: 36", 40" and 48"
accessibility and a 6' power cord with standard plug: 120VAC - NEMA 5-15 or 240VAC - MEMA 6-15. An optional insulated top cover is available for faster heat-up and efficient temperature maintenance. 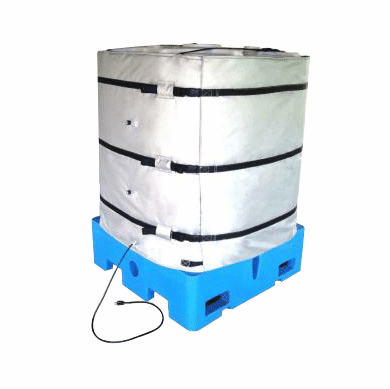 Questions & Answers about Wrap-Around Plastic Tote Tank/IBC Heater 120v,1440w,48"